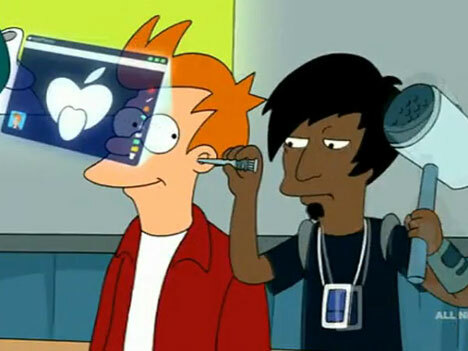 Apple says that the new generation of iPhone features “retina displays,” but that’s just fancy talk for “lots of pixels.” We want actual retina displays that seem like they’re floating in mid-air, kind of like the EyePhones in Futurama but without the painful installation. 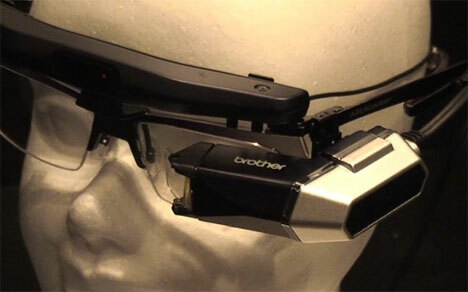 Apple might not be delivering that at the moment, but Brother Industries is launching the AiRScouter, a nerdy (but awesome) piece of headgear that projects images right onto your retina. It’s painless, futuristic and will make you look like a super-geek while you watch images that seem to float about a meter in front of you. It works by shining eye-safe beams of light directly onto the eye and moving them at high speeds. Don’t get too excited for your floating display just yet. The company plans to market the devices for industrial use at first before introducing it for consumer products. But it seems more than likely that eventually we’ll all be running around with a Bluetooth headset in the ear and a pair of retina display glasses on the face.